Cannot be combined with any other promotions or discounts. Keep your furnace running efficiently by scheduling a Furnace Inspection today! We offer comprehensive heating services. We install and repair most air conditioning units. Make an energy efficient and cost friendly choice. Done Right, Done Fast, Done On Time. 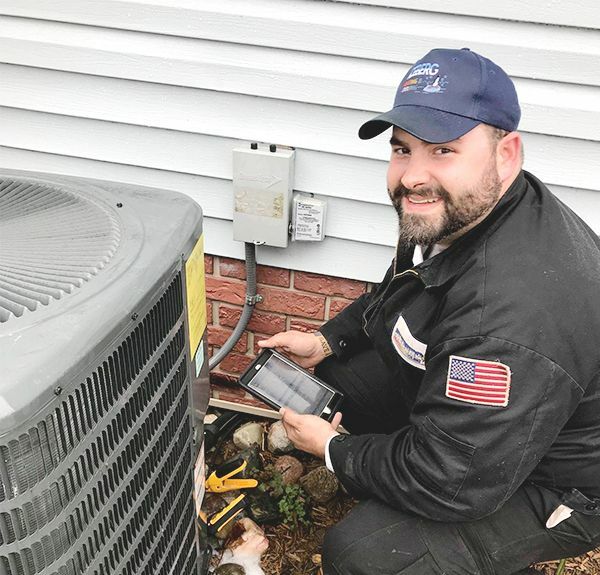 As part of Iceberg Heating & Cooling’s customer-first approach, our technicians are dedicated to getting the job done right the first time. Our “No-Frustration Guarantee” means that if we can't get your unit up and running within 24 hours, we will give you $500. In addition, our two-year-trial guarantee means that your newly installed system will run the way you want it to or we'll give you a full refund. When you want to make the most out of your current system, we offer HVAC system tune-ups backed by a “Breakdown-Proof Guarantee” and will even give you $10 off your $79 tune-up. Add this to our numerous other guarantees and specials, and you can rest assured that you are getting top service at a fair price. Unlike other companies, Iceberg Heating & Cooling offers true 24-hour emergency services. This means we will come out in the middle of the night during the hottest or coldest months of the year to ensure you and your family are always comfortable. Our customer service is unrivaled and our family of highly trained technicians is always ready to go the extra mile to ensure you have the help you need, when you need it most. Call our Monroe heating and cooling experts at (734) 375-1119 to discuss your needs. We offer upfront pricing without any surprise fees, same-day appointments, and free quotes on new system installs. Gave me good advice and suggestions! It was a pleasure doing business with these people. The technicians are very knowledgeable and very personable. We stand behind our work and will always make it right. We arrive when we say we will and get the job done right, the first time. We are there for you when an emergency happens. All of our technicians receive on going training. Customers across our service area trust our skilled team because we always go the extra mile to ensure they, and their homes, are well taken care of. When you choose Iceberg Heating & Cooling, your comfort is guaranteed. Our customer-first approach means we respect your time, your budget, your needs, and put your best interest above all else. More than that, we stand behind our work, offering a number of guarantees and warranties to fit your needs.